Malware KO Free is the backbone of your PC's security. The free anti-malware software uses industry-leading technology to detect and remove all traces of malware like worms, Trojans, rootkits, spyware, adware and more. It proactively defends your PC against both known and emerging threats, without any significant impact on your PC's performance. Once installed, this free malware remover tool can watch memory, file system and registry, waiting for any malware that's hiding and attempting to load whenever it gets a chance. Once Malware KO Free detects the presence of a malicious program, it springs into action. Malware: gone. Plus, Malware KO Free expertly removes any and all "hooks" the malware may have injected into the system, and restores its original condition. 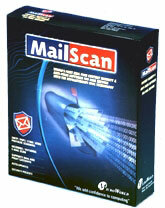 In addition, the free malware removal tool, with an inbuilt time scheduler, allows easy configuration of automated and scheduled scanning of your computer. Thus you have very precise control over the schedule and frequency of scanning. You may choose to run scheduled scans at a certain time on a daily, weekly or monthly basis to automatically remove malware. In a word, this free anti-spyware software provides top-of-the-line anti-malware protection for your home & business needs to survive in today's threatscape. Now, beat malware and hackers to the punch to guard your online transactions and protect your digital identity! This site does not contain serial number, crack, keygen Malware KO Free serial number : serial number is the simplest type of crack. A serial number(cdkey,product key,etc) is register the program as you may already know. a crack or keygen may contain harmful software. If you cannot find the exact version you want, just give it a try. for more information read .nfo/.txt/.diz file include in zipped file.